Microsoft Power BI has seen important changes with the Power BI update July and August 2018. On the basis of user feedback, Power BI has been improved with new features for better functionality. 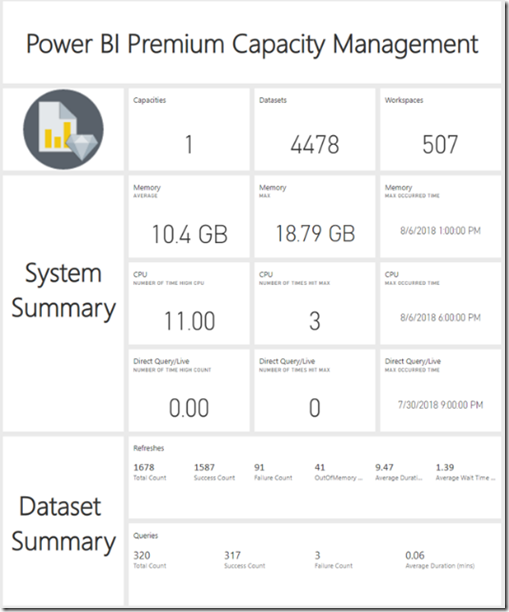 So what’s new in Power BI? As one of the leading BI consultancies in London, we at Influential Software are excited to promote the new features in Power BI. Recent months have brought extra functionality and user-friendly improvements to please mobile and service users. The features of the Power BI update July and August 2018 include improvements in visuals, filters, data gateway, and multi-geo capabilities. Read on to browse the full details of the Power BI update July and August 2018. July saw Microsoft announcing a public preview of Multi-Geo for Power BI Premium. Multi-Geo enables Power BI administrators to deploy a Premium capacity to one of nine geo locations globally. In the current preview, your Power BI datasets and cached queries are stored in the region you choose for your capacity. Dataset credentials and Excel workbooks, along with other additional metadata, are stored in the geo associated with your Power BI tenant. Power BI plans to migrate this functionality into the Multi-Geo capacities within the coming months. IT administrators can now effectively govern their Power BI deployment with a new set of Admin APIs, along with a .NET SDK and a PowerShell module. These functions give administrators visibility into every aspect of their BI environments. After the introduction of persistent filters in March, Microsoft has now introduced this for reports with custom visuals as well. 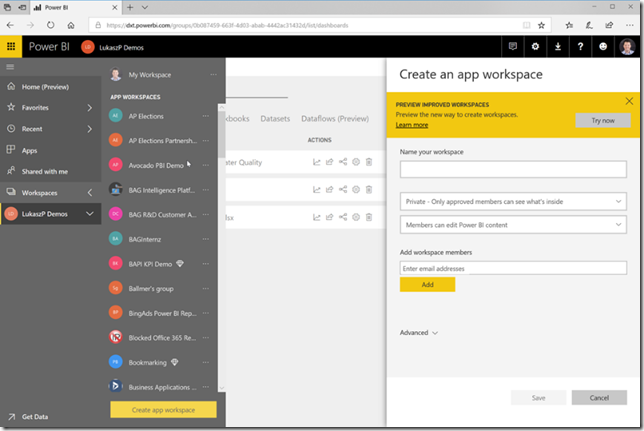 The app workgroup preview shows that it will be easier to manage access to workspaces through security groups, distribution lists, and O365 groups. These changes will empower large enterprises to easily manage their BI content at scale. Microsoft announced that custom visual API version 1.1 and older will be deprecated from September 1, with support remaining for API 1.2 and later. Users can now define more complex query string parameters with enhanced URL filtering capabilities on reports. This enables the creation of shortcuts to pre-filtered reports and also providing hyperlinks to consumers. The custom data connectors in the Enterprise gateway, announced in the July release, have continued to improve in the latest release of the on-premises data gateway. The Premium Capacity Monitoring app enables capacity administrators to monitor the health of premium capacities and spot any factors that might affect end users. The app displays all dataset refreshes, dataset evictions, and queries in the capacity for the preceding seven days, alongside system metrics. With single sign-on (SSO), you can access all applications and resources through a single user account. You can now use your primary organisational account to sign in to your domain-joined devices and Power BI Service. You can now create phone report layout directly from Power BI Service. It’s as simple as switching to edit mode and clicking the Mobile Layout option in the top bar. Mobile users can access the drill actions with Table and Matrix support for tooltips. Any Questions about Power BI Features? 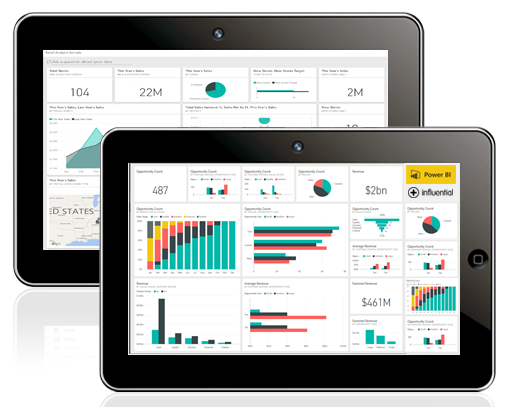 For further details of the Power BI update, visit the Microsoft Power BI blog. Want to know more? Our dedicated Power BI team is on hand to answer any inquiries about features of the Power BI update July and August 2018, licensing, and business benefits.